Here you will find the most important questions and answers about Human Connection. You are welcome to write us: [email protected]. Updates coming soon. A donation receipt will only be issued for annual donations of 200€ or more. However, you can state the value of the donation as a lump sum in your tax return with an account statement. At the moment the development and promotion of our network is mainly driven by volunteers who free up some time to support Human Connection. While we love and appreciate all of our volunteers, this process is slow and makes it hard to calculate the release date. We could operate faster and more strategically with a number of full-time employees who could work on the coding and development full-time. What happens when the crowdfunding goal is not met? Of course we won’t stop. We’ll continue coding, even if it means reaching the ‘go live’ date later than planned. What salary does Dennis Hack draw? Dennis Hack does not receive any salary from Human Connection. BE RESPECTFUL! 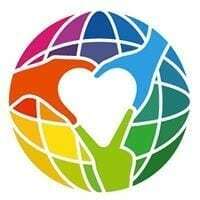 Please avoid insults or bullying on www.facebook.com/humanconnectionorg!Otherwise we are forced to block these users form our Human Connection fan page. Our environment should remain supportive and respectful. Thanks for your understanding. PS: Please be patient! We will release the functions LET’S TALK and VERSUS soon, which will make communication between our users easier. When does the Human Connection network go online? Our goal is to go live as soon as possible. Until then we are working hard on fulfilling our set milestones. For further information regarding the programming, please contact [email protected]. We will present an updated status on new releases regularly. How is Human Connection financed? We want to create an advertising-free network that doesn’t sell data. In order to cover all running costs, Human Connection is financed by crowdfunding and donations. Special partnering programs (like the Clock of Change) shall become another important financial pillar. Furthermore, founder Dennis Hack has donated around 450,000 Euro into the organization in order to drive development. Why charitable GmbH and what comes next? Since the foundation of the charitable GmbH in 2012 (non-profit limited liability company) Dennis Hack has had the flexibility to bring his own capital into the organization. So far he donated around 450,000 Euro over the years to support the project. As soon as the organization goes fully live with its online platform, it will be given into many hands for continuous management. This, however, requires a strong and reliable foundation to ensure that Human Connection can fulfill its mission in the long term. Our goal is to keep Human Connection independent and maintain a flat hierarchy. The goal is: one human = one voice – as long as it’s guaranteed that people can see, read, and access the right information. Participation rights are being discussed. It remains to be seen if the creation of a foundation makes sense as a next step. If you have any suggestions and/ or ideas around this, feel free to contact [email protected]. By the way: No matter what legal structure Human Connection will obtain, we will always stand for full transparency. Here, we wish to go beyond any provisions of the law. How is Human Connection affected by NetzDG? Human Connection is not affected by NetzDG, Germany’s Network Enforcement Law, since it is not operating commercially. This discussion was not only connected to censorship but the network enforcement law. By the way, this law only applies to for-profit networks which Human Connection is not. We are a charitable network! ANYONE, who may have questions, doubts, or ideas, is invited to share their thoughts and approach us openly or privately to discuss them. Human Connection is made by humans for humans, andour key values are transparency and common good. So if something is going wrong within our organization or on our network, then that needs to be addressed and cleared up immediately. Only if we live our values, we will be able to be a truly HUMAN network and be around for a long time as a charitable organization. We kindly ask you to approach us at any time if you see something is not going right. We are open to any discussion and to working together on questionable content or new ideas. We believe that this is the way to nurture and grow Human Connection with integrity. Will Human Connection also be available in other languages? Yes. Right now, our website could be translated into 23 languages. Our plan is to implement translations quickly so that we can spread the word about what we do around the globe. You have an idea and want to share it with us? PLEASE READ THIS FIRST! We receive emails with ideas and different concepts on a daily basis, which we need to review first. Since we need to focus on the basic version of Human Connection, we kindly ask you to summarize your idea (max. 1/2 DIN A4 page) before sending it in order to ensure a faster and easier review on our end. Only then we will have the ability to dive deeper into your idea and discuss it with our team. Please be sure we will respond to you as quickly as possible. Why did you reinvent the wheel? Why don’t you cooperate with other like-minded organizations? The wheel we are referring to hasn’t been invented yet. To learn why Human Connection is so unique, please review our features. We are generally open to any cooperation as long they are in line with our idea of common good and charity. We believe a long-lasting cooperation is not easily arranged and tend to be very complex when tasks, systems, platforms etc. are not necessarily the same. Since it’s not easy to combine two different systems into one, we would always look at potential partnerships or collaborators very carefully before making a decision. What are the bank details of Human Connection? If a software is ‘open source’, can sensitive user data be filtered out? Open source means that the code is free and open to be developed by the user community. User data is not part of the code but included in a separate installation. The user-programmed code is installed separately on a secure server first. Therefore, access to user data by 3rd parties is not possible. Every change in the code will be checked by us before it is implemented on the network. By doing our due diligence, we uphold high-quality programming and avoid dubious code.